Earn $5.39 in Rewards credit. Click to learn more. 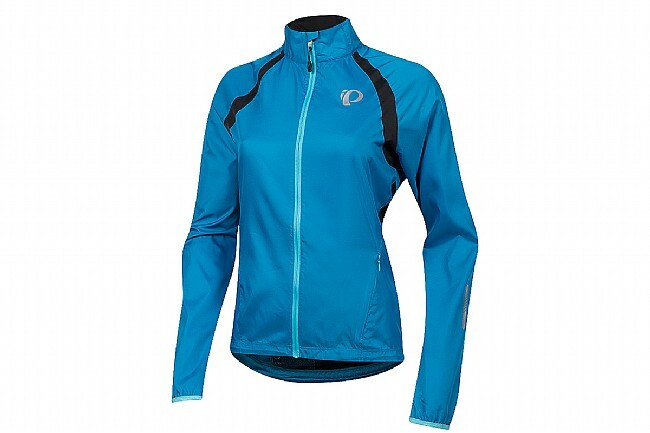 Pearl Izumi's Elite Barrier Jacket is the prime lightweight choice for heading out in chilly weather. 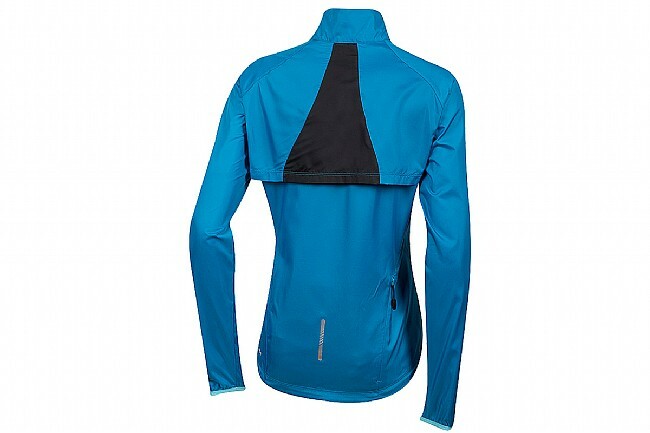 ELITE Barrier fabric is windproof, features a durable water-resistant coating, and is extremely packable, making this jacket easy to stow when things start to heat up. Warmth is sealed in with the full-length zip with internal draft flap and zipper garage at the collar, and drawcord waist makes for a secure fit. 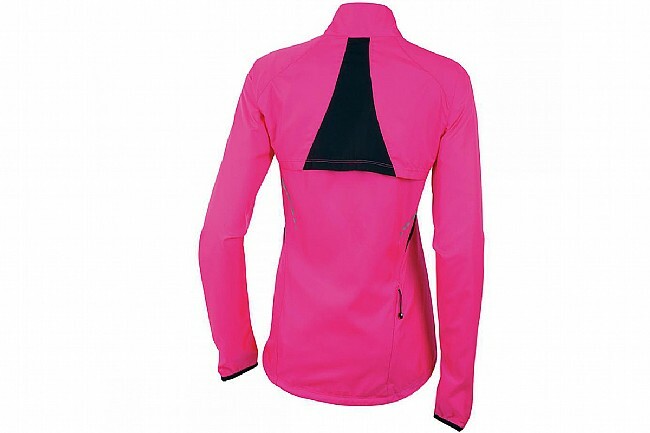 For storage, there's one zippered rear pocket to keep safe all your riding needs, and reflective elements are featured front and rear to keep you visible in low light.